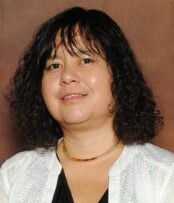 Dr. Heidi Sato received a B.S. in Nutrition and Food Science from the University of California, Berkeley, a Master of Public Health from Columbia University, and a Ph.D. in Health Sciences from Touro University. She has over 15 years of experience as an epidemiologist, professor, and administrator. While working for Los Angeles County Acute Communicable Disease Control Unit, she investigated over 60 outbreaks of infectious diseases. She has also conducted epidemiologic analysis of restaurant inspections and provided consultation to senior management at Los Angeles County Department of Health Services. She received an award for her development of Foodborne Illness Advisor, a database application which advises inspectors regarding foodborne illness complaints. She has served as an expert witness for the largest hepatitis A outbreak in the U.S. She has also previously served as the Chair of an Institutional Review Board, Co-Director of an MSHS Program, and the Director of Institutional Research at another institution. In 2017, Dr. Sato began teaching for the MPH Program at Walden University and also serves on dissertation committees. Dr. Sato's research interests include the epidemiology of infectious and chronic diseases, public health surveillance, health intelligence, and environmental epidemiology. She has presented at a number of conferences, including the World Congress on Environmental Health, National Environmental Health Association, West Coast Epidemiology Conference, and the American Public Health Association. She received an award from the American Public Health Association for her research focused on developing a structural equation model to predict foodborne illness outbreaks at restaurants. She has also conducted research at the World Health Organization and worked on a medical project in Ghana, West Africa. Sato, H., Strassburg M, . (2008). Predicting foodborne outbreaks at restaurants: Results of a risk assessment model. American Public Health Association. Crowe L, Lau W, McLeod L, Anand CM, Ciebin B, LeBer C , ., ... Sato , H. (1999). Outbreaks of Shigella sonnei Infection Associated with Eating Fresh Parsley – United States and Canada, July-August 1998. MMWR. Sato, H. (1997). Campylobacteriosis. Communicable Disease Morbidity Report. Sato, H. (1997). Encephalitis. Communicable Disease Morbidity Report. Sato, H. (1997). Lyme Disease. Communicable Disease Morbidity Report. Sato, H. (1997). Shigellosis. Communicable Disease Morbidity Report. Sato, H. (1997). Viral Meningitis. Communicable Disease Morbidity Report. Sato, H., Chao S, Tormey M, Mascola L, . (1996). Communicable Disease Reporting Among Physicians: The Impact of Knowledge and Attitudes on Behavior. American Public Health Association. Sato, H. (1995). Communicable Disease Reporting Among Physicians: Knowledge, Attitudes, and Reporting Levels. Special Studies Report. Reporter, R., Bendana, N., Sato, H., Watson L, Matsumoto G, and Mascola L. , . (1993). Rare serotypes of Salmonella associated with iguana exposure . Program and Abstracts of the 33rd Interscience Conference on Antimicrobial Agents and Chemotherapy. Sato, H. D. (2014). Independent (for-profit) Segment Meeting. California Association for Institutional Research. Sato, H. D. (2008). Predicting Foodborne Outbreaks at Restaurants: Results of a Risk Assessment Model. American Public Health Association. Sato, H. D. (2008). Predicting Foodborne Outbreaks at Restaurants: Results of a Risk Assessment Model:. National Environmental Health Association. Sato, H. D. (2002). Database Automation: An Innovative Approach to Enhance Surveillance, Screening, and Analysis of Foodborne Illness Complaint. California Conference of Directors of Environmental Health. Sato, H. D. (2002). Database Automation: An Innovative Approach to Enhance Surveillance, Screening, and Analysis of Foodborne Illness Complaints. World Congress on Environmental Health. Sato, H. D. (1996). Communicable Disease Reporting Among Physicians: The Impact of Knowledge and Attitudes on Behavior. American Public Health Association . Sato, H. D. (1993). Bloody Diarrhea Associated with Escherichia Coli 0157:H7 in a Retirement Home. Reporter, R., Bendana, N., Sato, H. (1993). Rare Serotypes of Salmonella Associated with Iguana Exposure.